The Memorials and Museums Working Group brings together experts from across member countries to mobilize support and expertise for Holocaust memorialization. The International Memorial Museums Charter was adopted in 2012. An Addendum was added to the Charter in 2016. The Charter was produced by IHRA's Working Group on Museums and Memorials as a set of guidelines dealing with ethics and the main concerns of memorial museums for the victims of the Holocaust. The Addendum was developed together with the IHRA Committee on the Genocide of the Roma. The Charter is available in German ;Greek; Italian; Lithuanian; Macedonian; Romanian; Russian; Slovenian; Spanish. 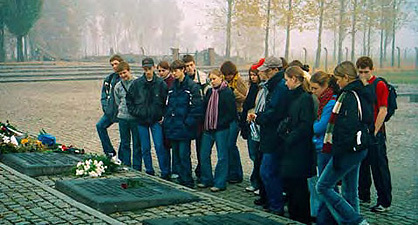 Two websites: “Cultures of Remembrance – a Network” and “Memorial Museums.” These websites are hosted by the Topography of Terror and show the connections between remembrance cultures and the development of memorial sites in the respective countries. Through these websites the different historical contexts and the development and reception of the sites of memory become evident.